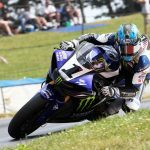 Last weekend, Monster Graves Yamaha’s Josh Hayes cemented his fourth AMA Superbike title by winning both Superbike races at New Jersey Motorsports Park. 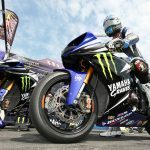 To honor his achievement, Arai presented Hayes with a special, one-off edition of itsCorsair-V RC. In its normal trim, the Corsair-V RC is a pricy lid, retailing for $3,995.95 with just clear coat over its carbon fiber shell. Give it race replica graphics, and the price goes up to $4,295.95. Sporting “the original rendition of Hayes’ popular ‘Jolly Roger’ scheme,” this helmet is literally priceless. 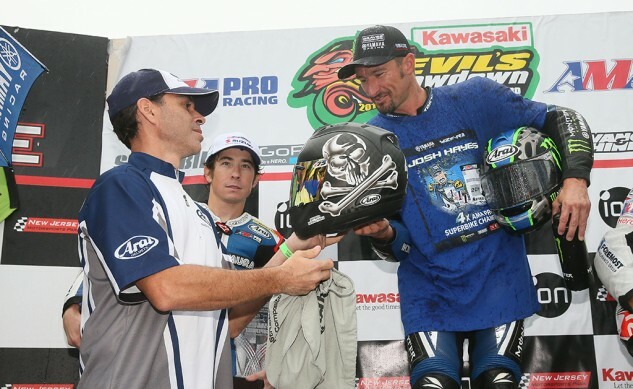 Why would Arai give such an exclusive helmet to Hayes? How does loyalty sound? All of Hayes’ major championships have been won wearing Arai helmets. 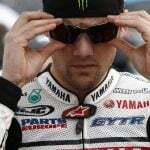 Hayes wore Arais in 2003 for his AMA Superstock title, in 2006 and 2007 for his AMA Formula Xtremecrowns, for three consecutive years from 2010–2012 in AMA Superbike – plus the just clinched 2014 Superbike title.